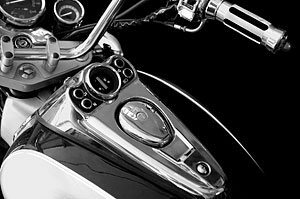 These days if you have been involved in a Pennsylvania motorcycle accident, your friends or acquaintances are going to tell you that you should hire a Pennsylvania motorcycle accident lawyer as soon as possible. You might hesitate for a number of reasons, including your belief of the cost of lawyers. Did you know that we are free consultation lawyers for your Pennsylvania or NJ motorcycle accident? Most people don’t deal with lawyers on a regular basis, and running jokes about corporate lawyers and their cost to clients pervade the public perception. For all intents and purposes, you can get free legal advice about your motorcycle accident! Here is your first piece of free legal advice: You should limit any conversation with lawyers or insurance agents/adjusters representing the person who caused your accident. If your friend, who advised you to contact a motorcycle accident attorney, also offered you an endorsement of their motorcycle accident lawyer, hopefully it was someone who has handled motorcycle accidents for a long time. Or better yet, handles only motorcycle accidents. 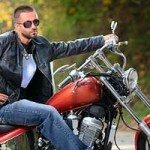 At the Law Offices of Lee D. Gaber we focus our practice on representing bikers who have been involved in serious motorcycle accidents and have been doing it for well over 20 years. If you don’t want to call a number that advertises “free consultation, lawyers are standing by”, then you want to call my law office. My long time assistant or I will personally answer your call and be able to immediately answer your most urgent questions. 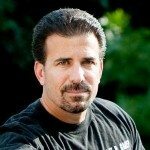 One of the advantages you get in hiring me, a motorcycle accident lawyer specializing only in motorcycle accident cases, is the thousands of motorcycle accident cases I have handled in the past; there is no need for me and my staff to re-educate ourselves every time we handle another motorcycle accident. We are experts in handling all types of motorcycle accidents and claims in Pennsylvania and New Jersey. Another advantage you get is that I’ve been in the trenches with you, as I am a long time rider. This means I speak your language and understand situations that bikers are put into on the road. Our firm has been set up in a way that from the first phone call, we make sure that your motorcycle is safe and secure, has been towed to the proper place and immediately insist that the responsible insurance company have an adjuster inspect your bike. So call 888-292-5352 for your free consultation, lawyer is standing by! Expert motorcycle lawyer Lee Gaber.